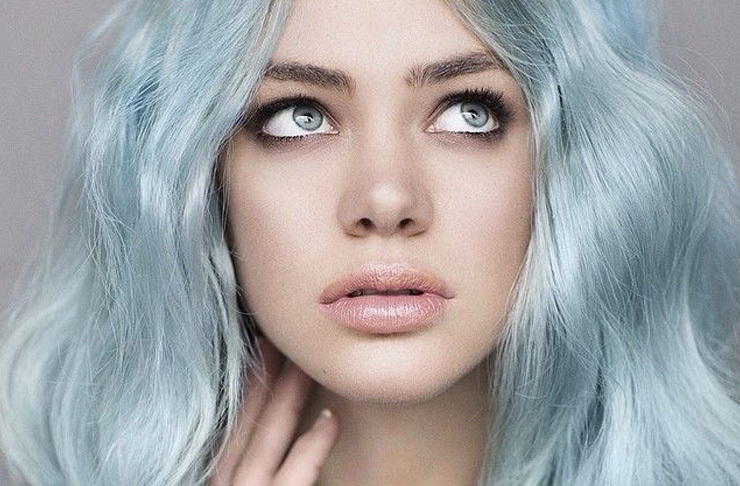 Co-It-All: Is my pastel hair ruining my chances of getting a real job? - The Co. The Co-It-All: Can I stamp my baby name so nobody steals it? My current hair colour is somewhere in between strawberry milkshake and cherry popsicle. I have a job interview in a couple of weeks for an entry-level position at a graphic design firm. My mom thinks I should go back to my natural brown colour pre-interview, but I feel like maybe my hair is a way to stand out and show that I’m a creative thinker. Is my mom being a dinosaur, or am I being an idiot? I would rather not die my hair back to brown since going light took a long time. That said, I don’t want to miss out on a career opportunity because of a fashion choice. First can I say that your hair colour description makes me want to drop everything and high tail it to the nearest Dairy Queen. And also that the strawberry milkshake doesn’t get nearly enough love. Everyone’s all, ooooooh chocolate, aaaaaaaaah vanilla, but for my money it’s delicious, creamy, slightly artificial strawberry all the way…so are we done here? Oh right, the hair thing. Is your mom a stuck in a prehistoric hair era? Hard to say, since you don’t really mention whether she is the kind of parent who keeps up to date with current fashion and beauty trends. Nor do you mention what she made of your rose-coloured coif before the subject of future employment arose. If she is constantly looking for ways to coax you back to a more natural hue, it’s possible the job thing is more of a convenient manipulation tool than a legitimate concern. Certainly My Little Pony-inspired dye jobs have gone a lot more mainstream over the last few years, and even months. I remember when Kelly Osborn died her hair lilac in 2010, it felt pretty daring, and certainly unique. Today you can’t open up an Us Weekly without coming across a young starlet who has gone purple (Nicole Richie), pink (Hilary Duff), blue (Kesha), bright red, (Rihanna), green (Ruby Rose), orange (Rebel Wilson). Genetically-conditioned attention-seeker Kylie Jenner recently asked her Twitter followers to vote on her hair colour—which is krazy, though certainly not the most embarrassing thing a Kardashian has done on social media this week. It’s not just young women who are hot for the trend. Boy band-ers Nick Jonas, Zayn Malik and Adam Levine have all debuted varying shades of rose and rouge in the last month. Helen Mirren went bubble gum pink a couple of years back, and she’s an English Dame and a septuagenarian. Point is that, for the most part, fartificially coloured locks don’t have the same badass, punk rock associations they once did. Still there is no way of knowing for certain how your perspective employer will feel, which is probably why your mom is taking the default position of moms everywhere and erring on the side of caution. Especially since—big sigh here—women are still judged on their appearance in a way that is both hopelessly archaic and heinously persistent. If you don’t believe me, just ask Hillary Clinton. Or ask Jenny Beavan, the costumer designer for Mad Max: Fury Road who made international headlines last week—not because she, you know, won an Oscar (!!! ), but because she dared to accept said Oscar wearing pants and a leather jacket. This video shows how freaked out society (read: a bunch of crusty old men in tuxedos) can get when a female fails to fulfill certain appearance-related stereotypes. To your point that coloured hair could give you an edge on the competition, that’s certainly a possibility, depending on the workplace in question. You don’t mention what kind of marketing (sports marketing? fashion marketing? health care marketing? ), which makes it hard to take any guessese around corporate culture. I would definitely encourage you to do some research. Check out the company website, and maybe even a few relevant Link’d In profiles, then make a judgment call based on how much your potential future co-workers look like the people in a Mac ad. If you do decide to stick with the pink, make sure your hair looks maintained and polished. I get that the whole dark roots, distressed junkie vibe may be hot right now, but in an interview scenario that’s going to come off as unkempt and lazy. It doesn’t matter if Lady Gaga herself is conducting the interview—messy lazy people don’t tend to land their dream jobs. What about a wig? I know that sounds radical, but the wig market has changed a lot in recent years. Today there are totally natural looking options in the $50-$70 range, which is a lot cheaper than a professional dye job. Of course if you do get the job, you’ll probably want to make a more permanent decision in one direction or the other, but at least you’ll have all of the facts. And gainful employment. And bonus #badhairday solution that is infinitely more glamorous than a baseball cap.